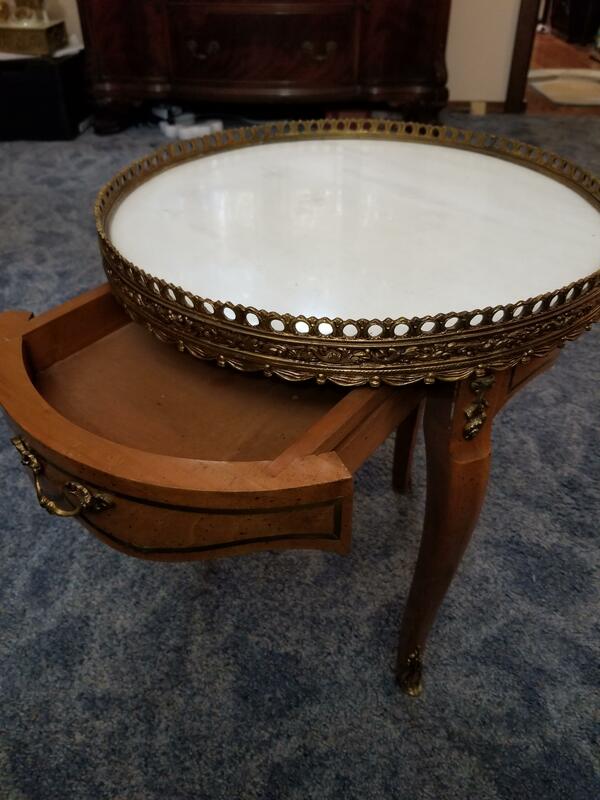 3-legged marble top table with pierced metal gallery above a paneled frieze. 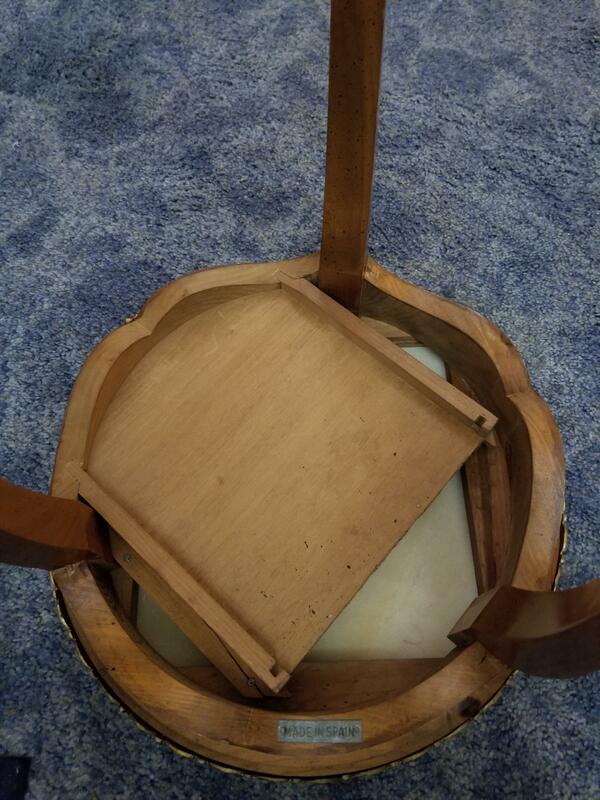 Includes a small drawer. 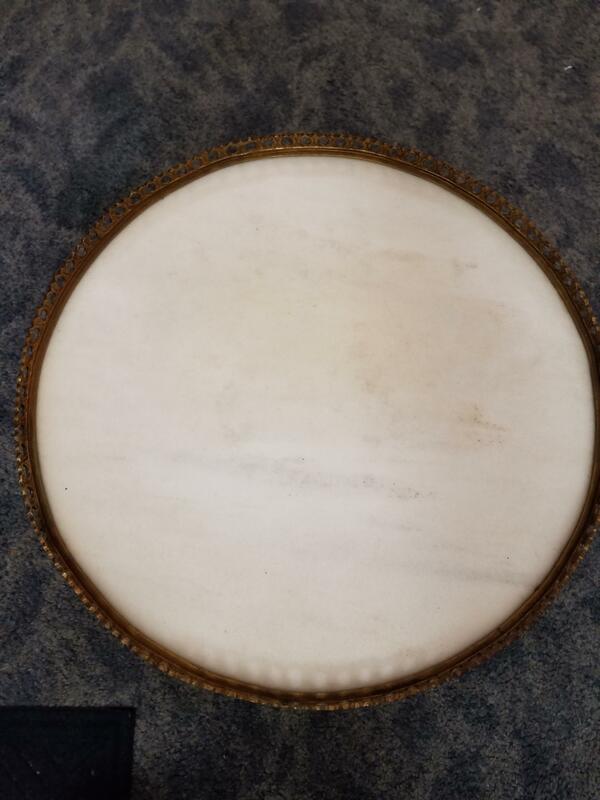 Table is approx 16" diameter and 18" tall from foot to table top. 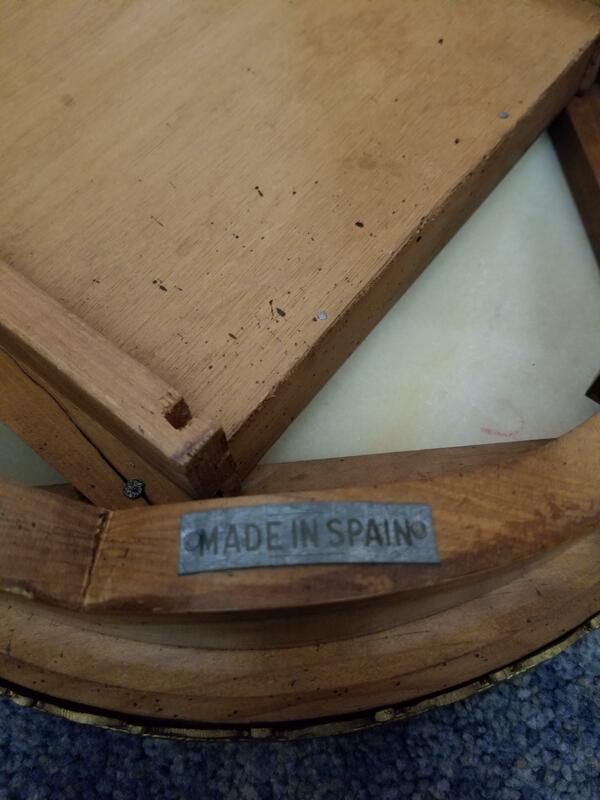 Metal tag attached "Made in Spain". 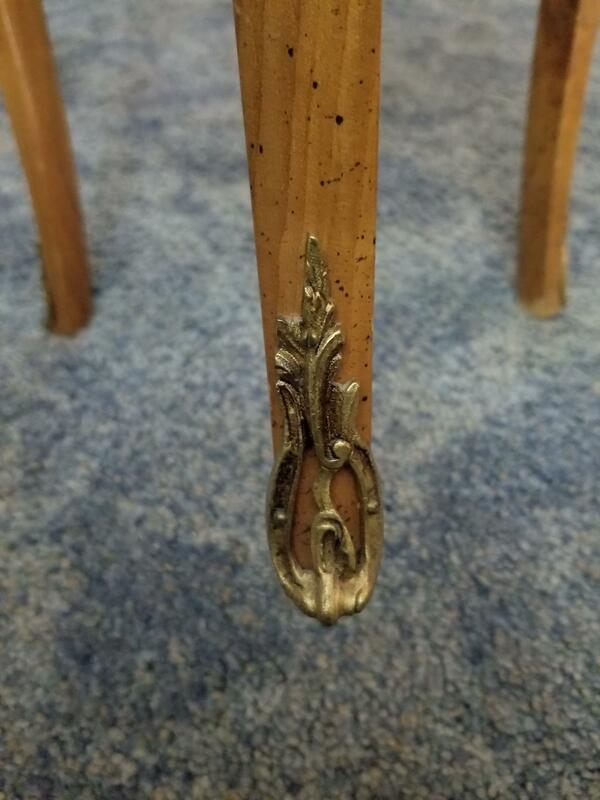 Metal accents fastened to the legs at feet and upper connections. 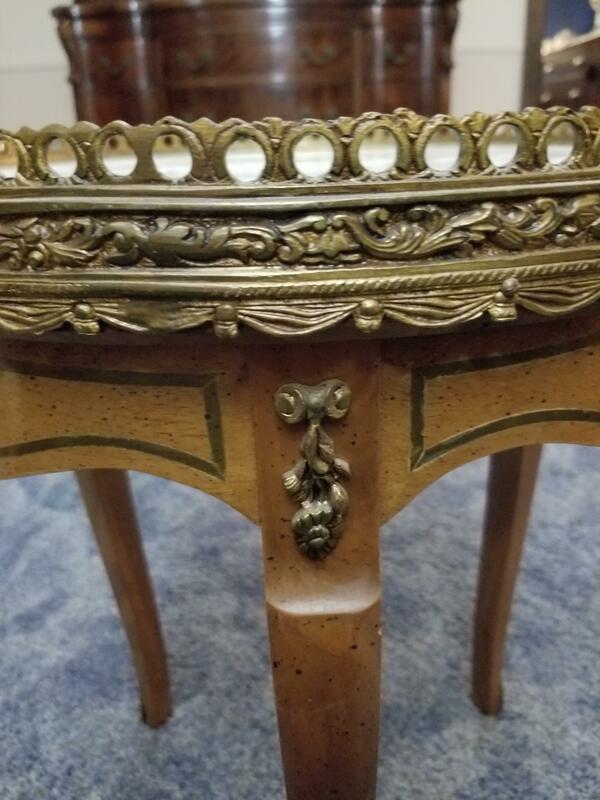 Reminds me of a miniature French bouillotte table. 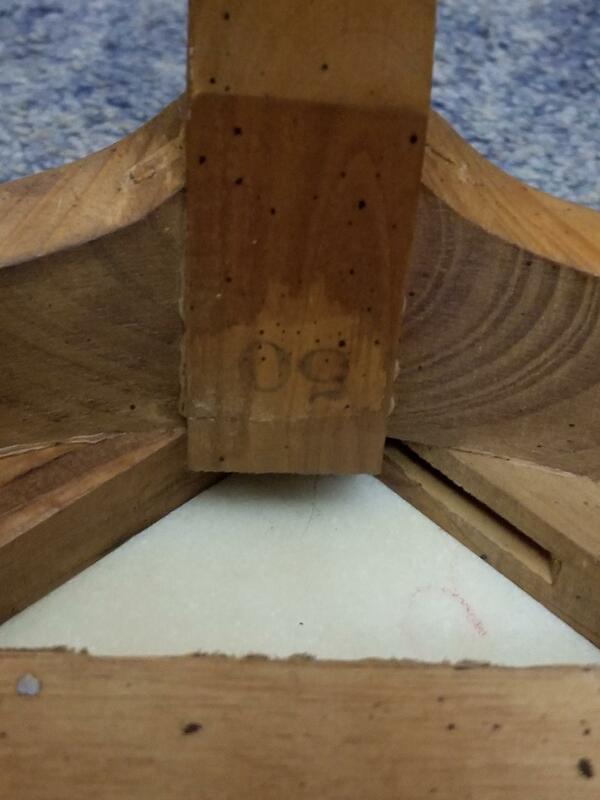 Thank you for your time & comments. 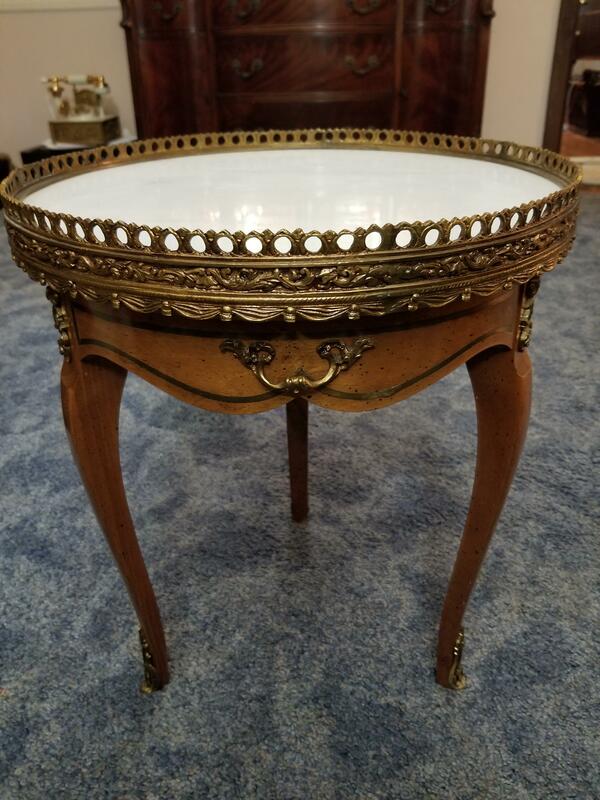 This table is a 20th Century piece in the French Provincial style, which has seen several revivals in popularity since it's original inception in the mid 1700's. 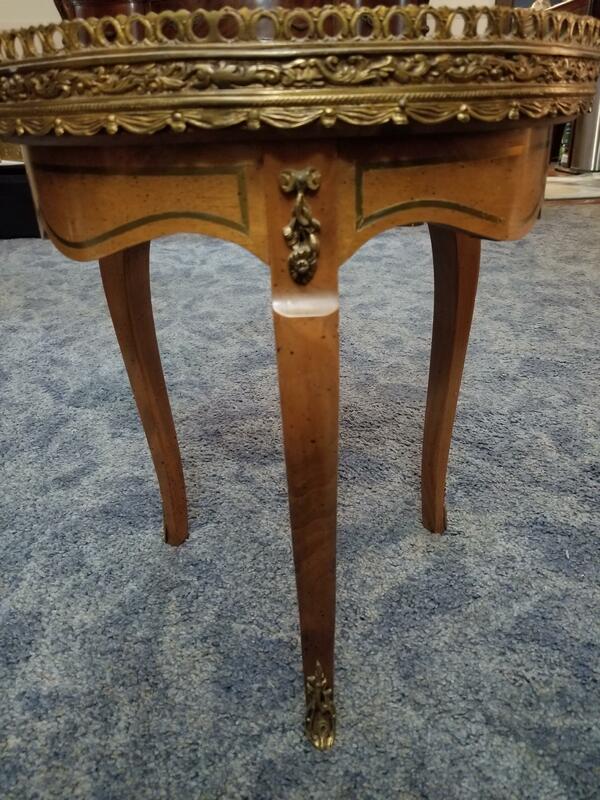 This one is nicer than most of the modern examples in this style, we'd retail a comparable one over $200.00.